Although "it" isn't the most attractive creature, "it" (aka the Beast) was totally attracted to the blooms on the Butterfly Bush (Beauty). Hello! :) Well captured! They are amazing little creatures. Yikes...What the heck is it???? Hello, great capture? 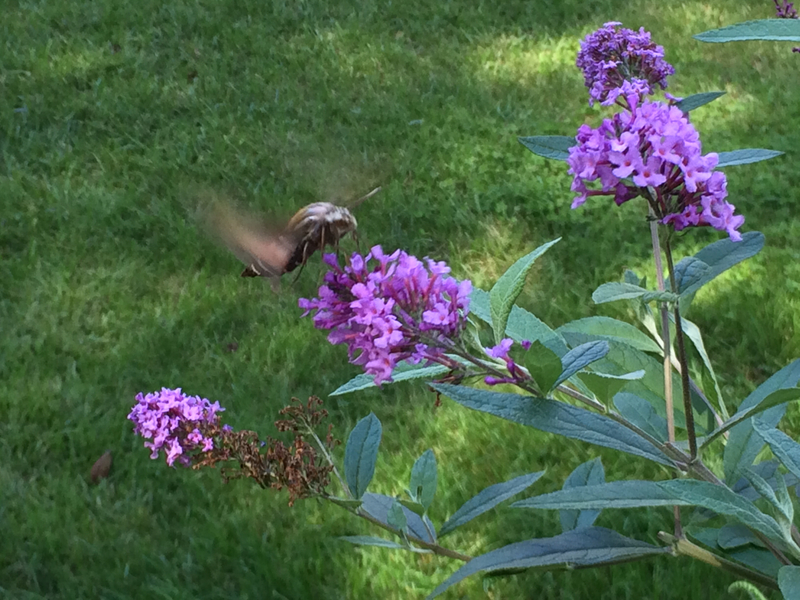 Is it the Hummingbird moth? I missed your post, I hope all is well. Happy Wednesday, enjoy your day! It flies like a hummingbird, but it doesn't look like a hummingbird. Is it a hummingbird moth? Great photo.